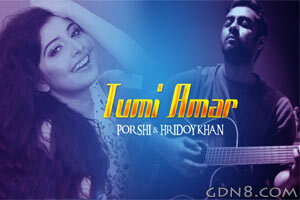 Tumi Amar Lyrics - Hridoy Khan & Porshi : From Aaro Bhalobashbo tomay Bengala Movie. Featuring By Shakib Khan And Pori moni. This Song Composed By Hridoy Khan.